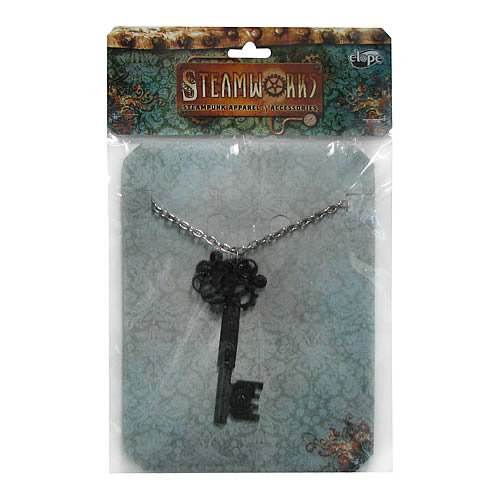 Join the retro-future world of Steampunk, with this Large Antique Key Gear Necklace! Inspired by a melding of Victorian-era Britain and the fantastical designs of authors like H.G. Wells and Jules Verne, this stunning and detailed necklace is the perfect addition to your steampunk costume! Order yours today!